Two build days in Prescott! Day 59 & 60: Two build days in Prescott, AZ! 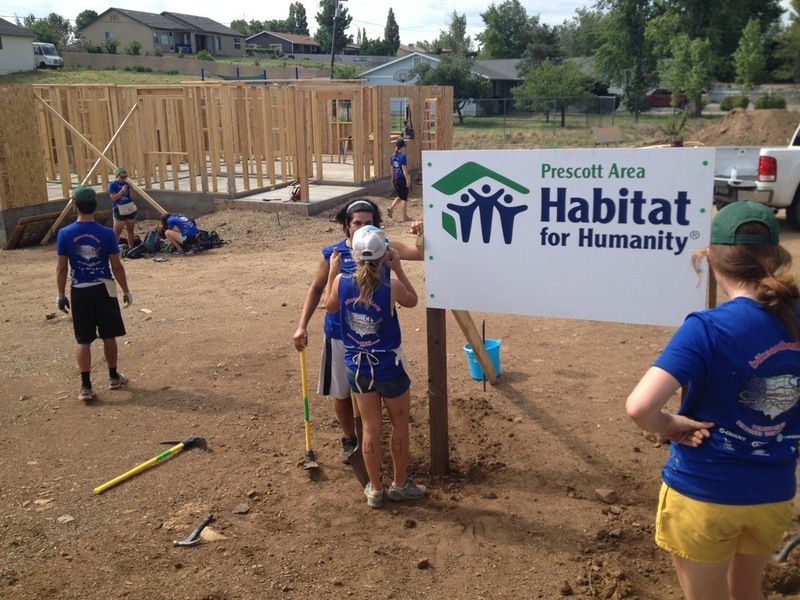 We worked with the Prescott Habitat for Humanity for both days. We enjoyed our time working with them! On the second night of this two day stretch, we ate dinner and gave a presentation to the Prescott Habitat for Humanity staff. They invited other members of the community as well, including some beneficiaries of Habitat. The Constanza family had a word of thanks to say too, as the house we had worked on was the one they were going to receive! It’s always exciting to meet these beneficiaries. It’s a great reminder of the direct impact that our fundraising and building has on families in need. The Prescott Habitat for Humanity representative that evening also showed us a video that they had made of three families in their community that had benefited from a Habitat home. It was awesome to see these families and see the happiness that a Habitat home brought to their lives. 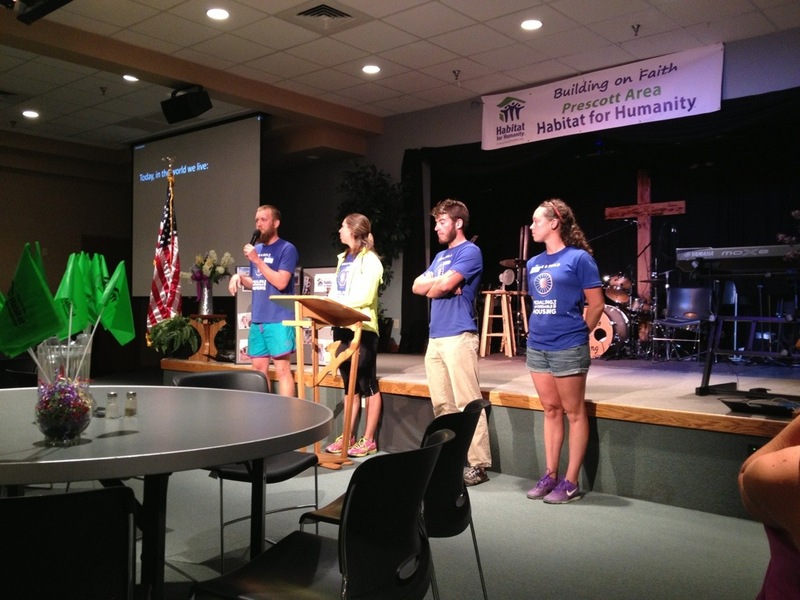 She gave us the opportunity to talk about experiences with working with Habitat for Humanity before our trip, as well as various stories of our biking journey. It was fun to recap some of the shenanigans that we’ve gotten ourselves into. It was clear that she had read our bios on the B&B website because she asked some people direct questions about them. 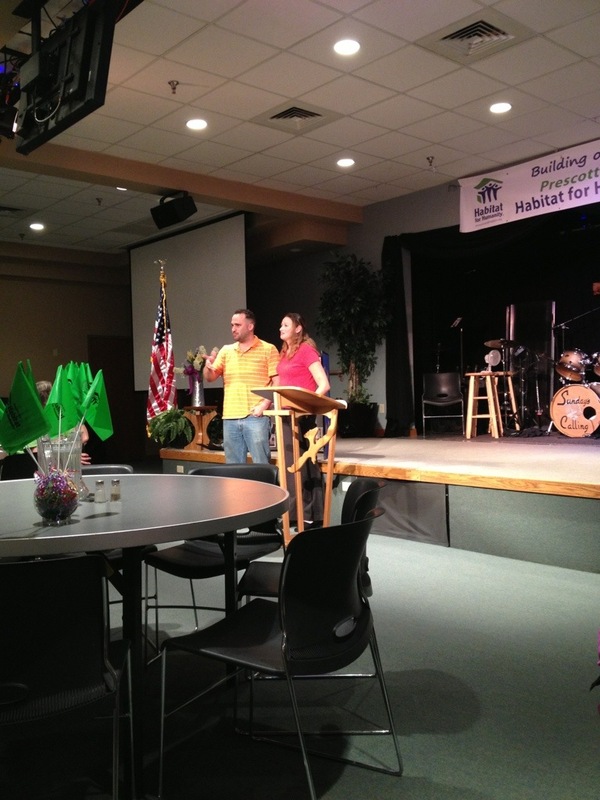 It was a night of phenomenal Habitat for Humanity staff and volunteers, as well as delicious food!!! 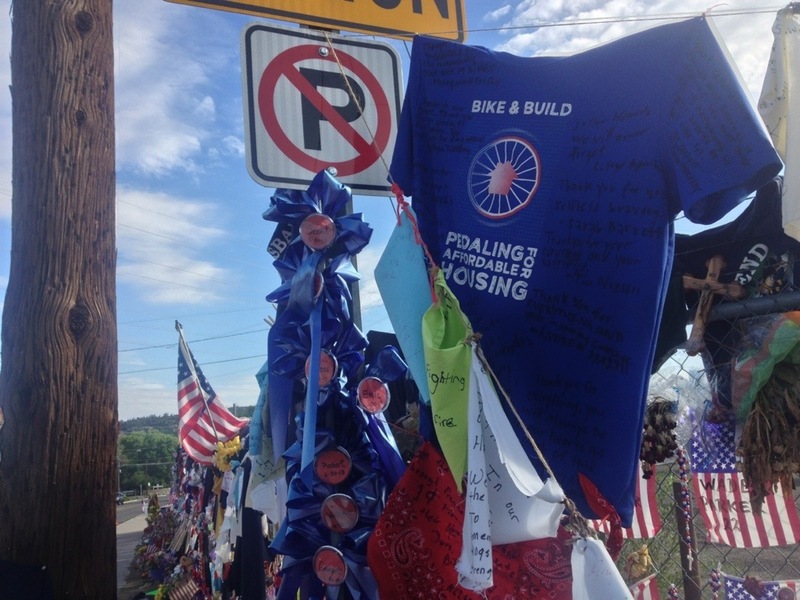 And then… It was time for Bike & Build prom!!! 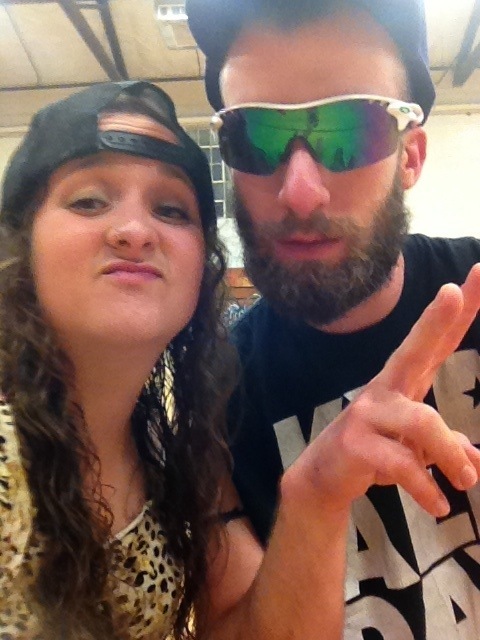 Scott and I went with a “Jersey Shore” theme. 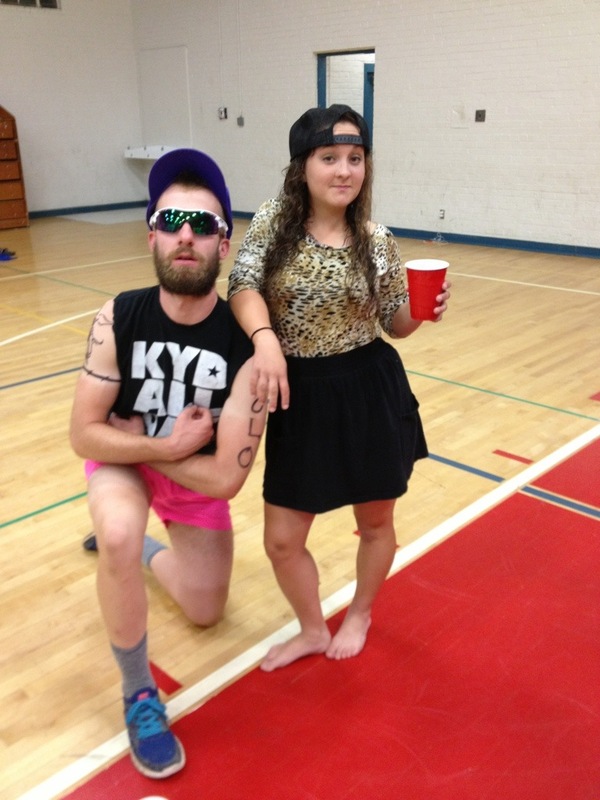 Our Jersey accents are impeccable. At one point in the night, Scott was so in character that Aaron said “I thought he was legitimately going to slap me across the face”. We were THAT good. Scott and I continue to talk in that Jersey accent regularly. And we’re hilarious when we do it. 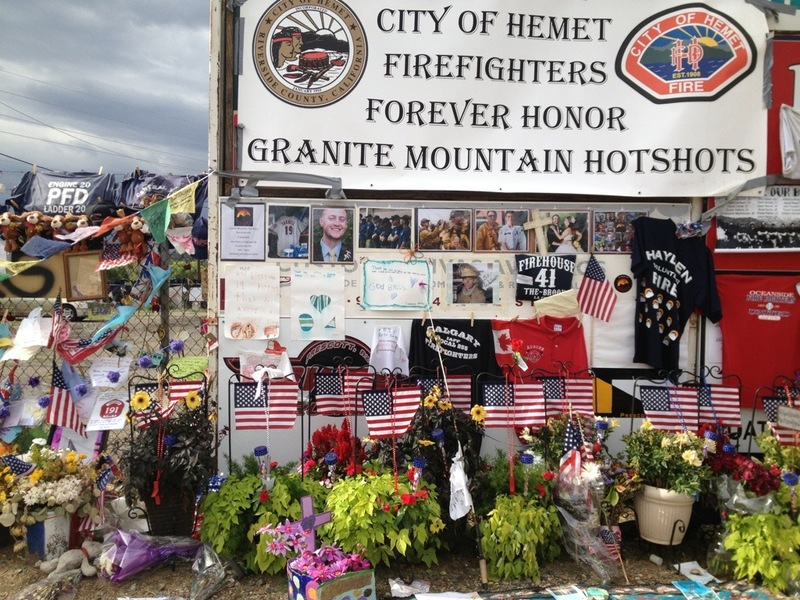 The next day, McWeens and I decided to visit the memorial site for the fallen firefighters of the Yarnell wildfires. Although I didn’t expect to get emotional, it brought me to tears. 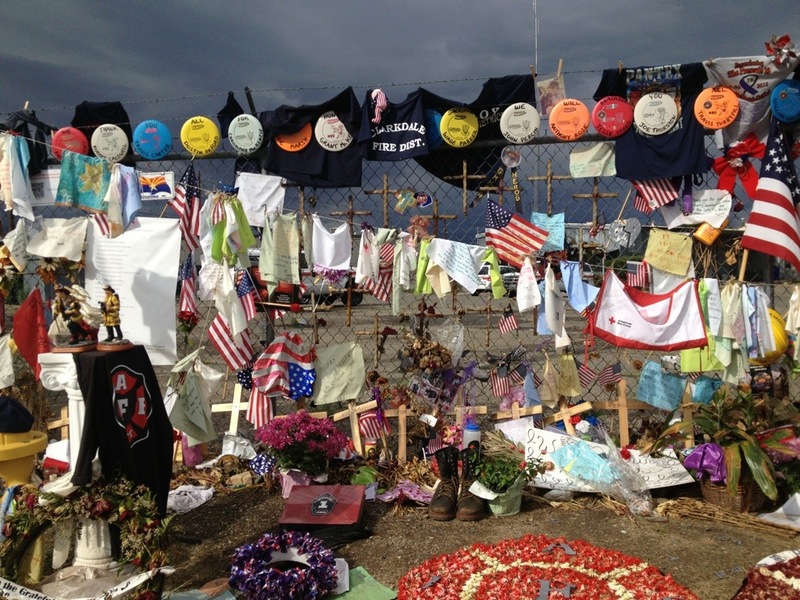 I’m very glad I got to visit the memorial site, and it was a great couple of days in Prescott! This entry was posted in On the road! on July 22, 2013 by murphykg. Well, your journey is almost over. I can’t believe it. 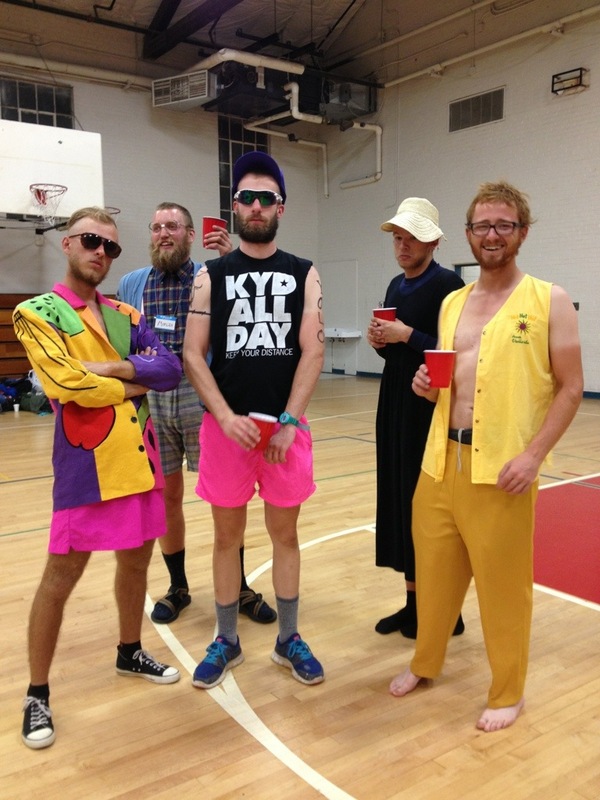 The “prom” – hysterical. The memorial, understandably emotional. And these great memories and friends ! You are so lucky to have this experience. I saw you grandma yesterday after she got back from her weekend at your house, and she said she wishes she had had an opportunity like this when she was young. But in her day, women literally went from their parent’s house, to their husband’s house. 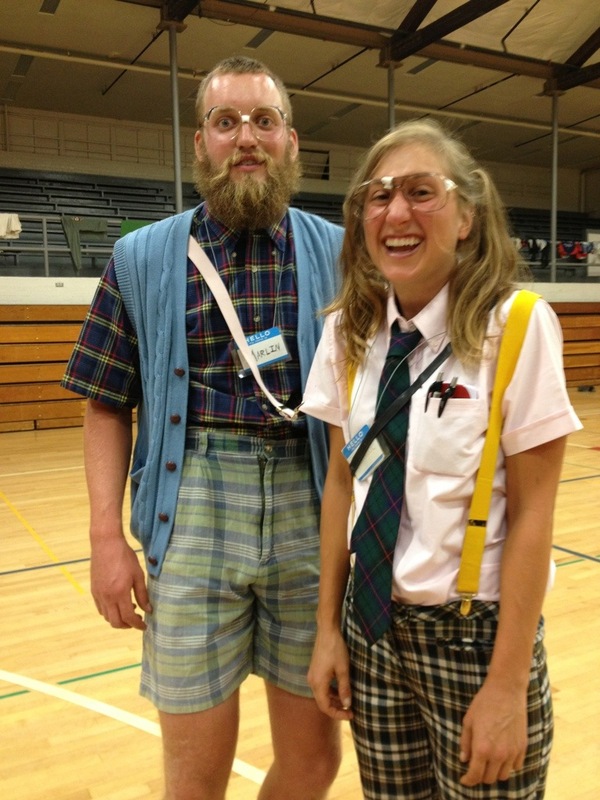 She and I are just thrilled your “dailies”. I am going to miss this when your trip is over. So- you will have to fb or email me, or something to keep me updated too ! I cant believe how quickly this has already gone. And, I hear how you will be going to travel a bit more before coming back to NC. WOW. I think this is the best summer of your life !